This is outstanding! What a great quilt! I love the colors and that quilting is so cool! Thank you so much, Beth!!! 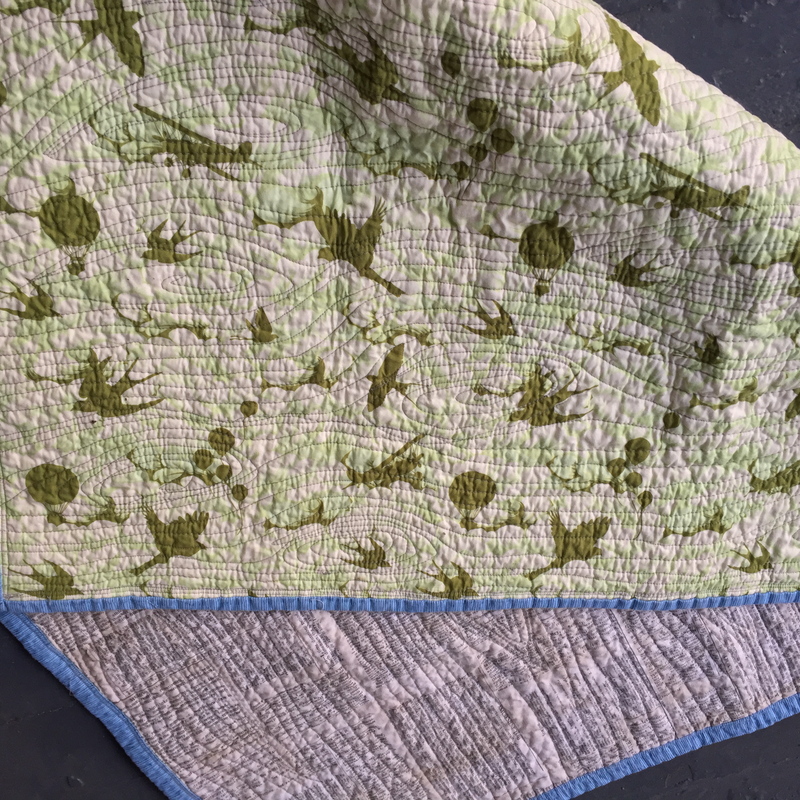 What a fun and unique baby quilt! I love the wood grain quilting that you did on it. Thank you so much ! This was a very fun quilt to make. Awesome finish. I really love you quilting! Thank you so much, Kat – that is so sweet. What a great design. Your quilting looks fantastic. Visiting from FIUF. 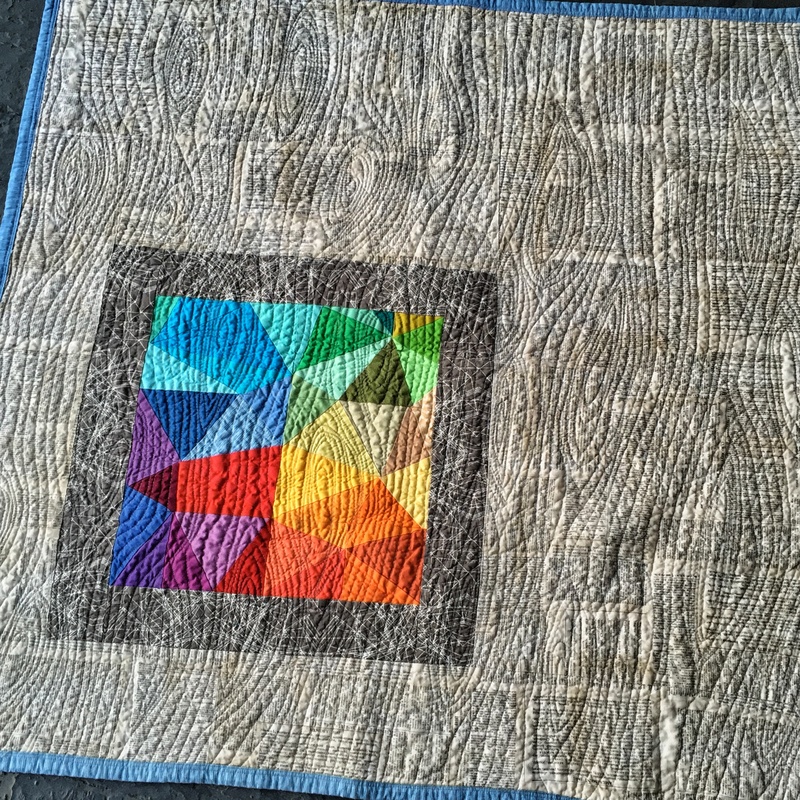 Thank you so much – this quilting was so fun. Beautiful, beautiful! What a wonderful gift, probably hard to give away! 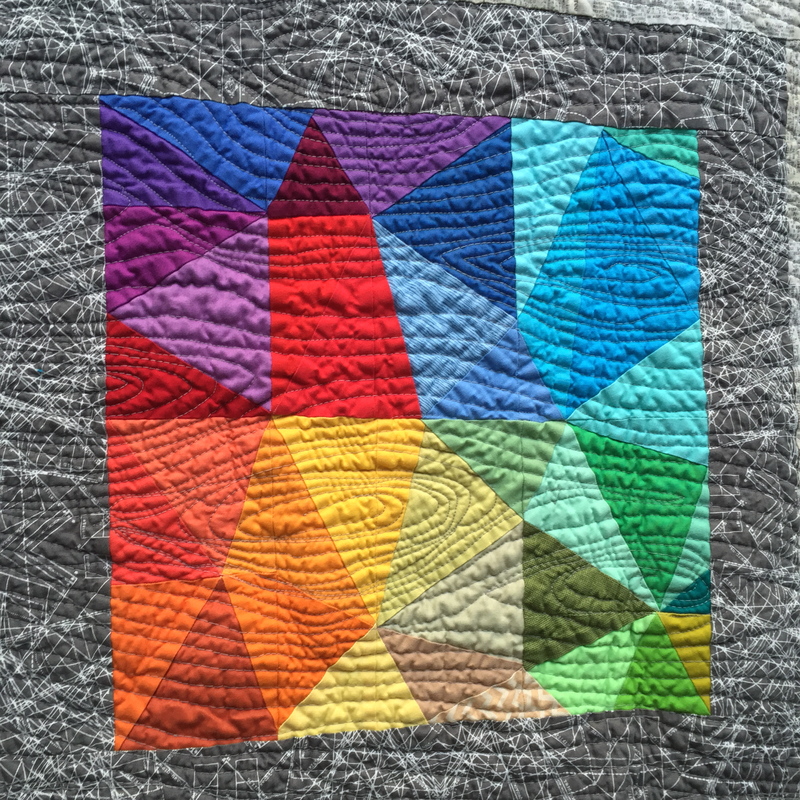 Great design and color choices, and the quilting is well done. A total winner!